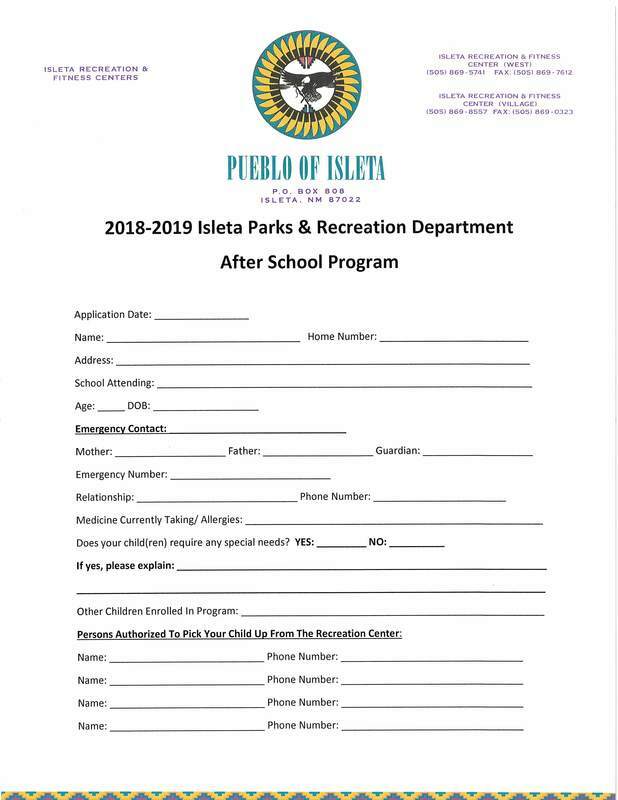 The Isleta Recreation provides various recreation programs and a park system that meet community needs and promotes community involvement in Recreation, Parks, Cultural Activities, Education, Health, and Family Life Activities in well maintained, accessible and safe facilities. 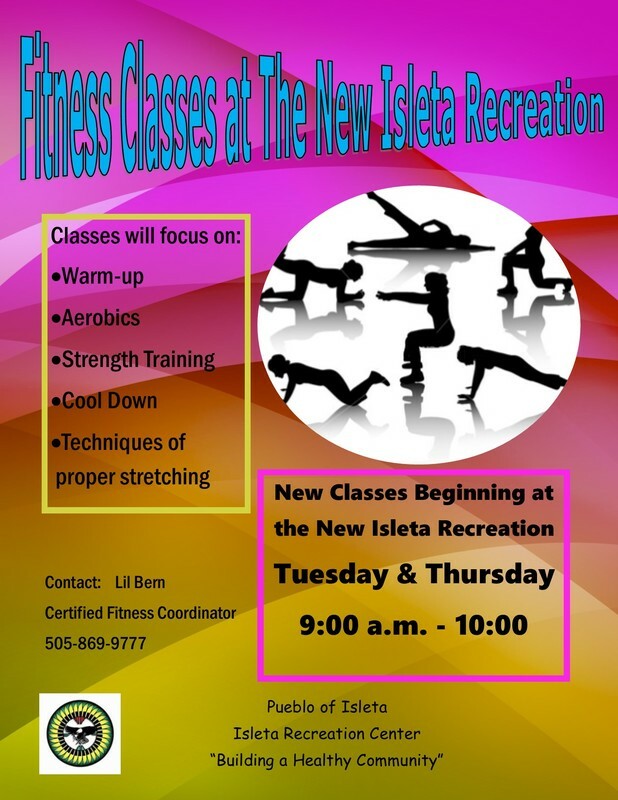 In the Pueblo of Isleta, there are two recreation centers. 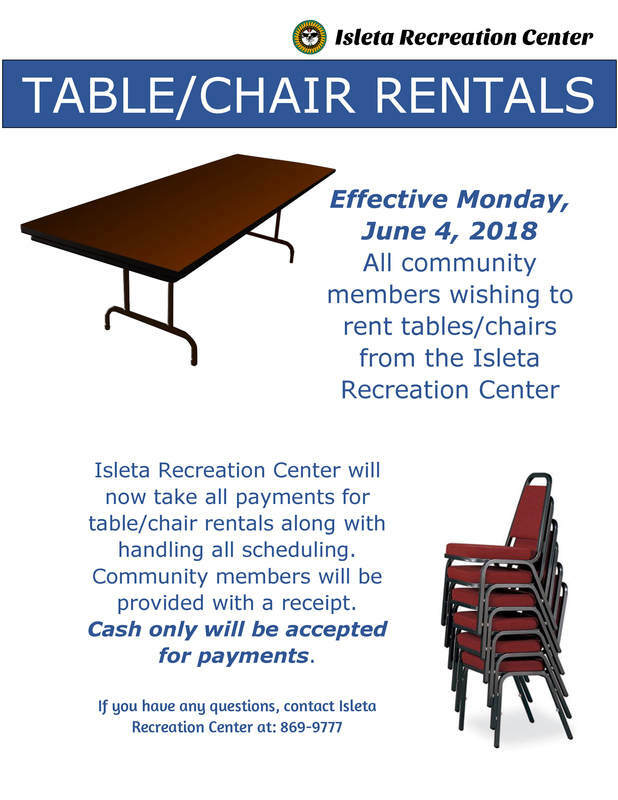 The main Recreation Center is located on Tribal Road 40, Isleta NM, and the other location in the Pickle Heights neighborhood area. Our facility can be utilized by Tribal Members, Tribal Employees & Casino Employees. No guests are allowed for Tribal or Casino Employees. 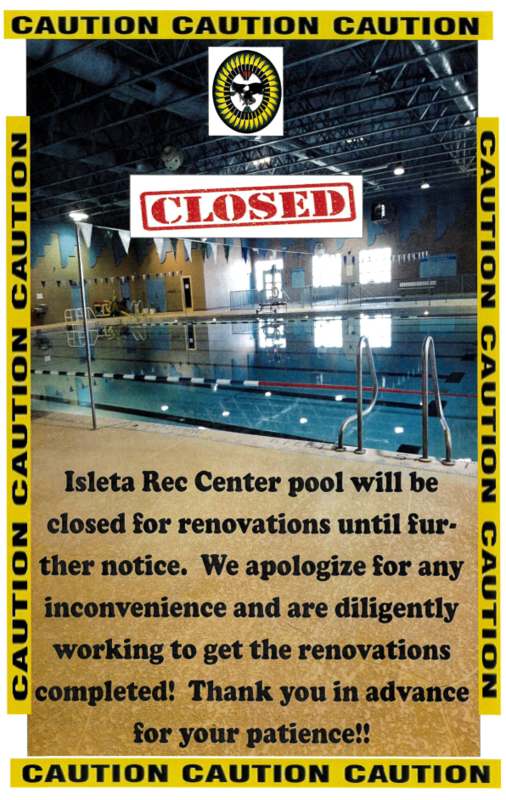 Closed all Federal Holidays and at times Pueblo of Isleta Administrative Holidays.